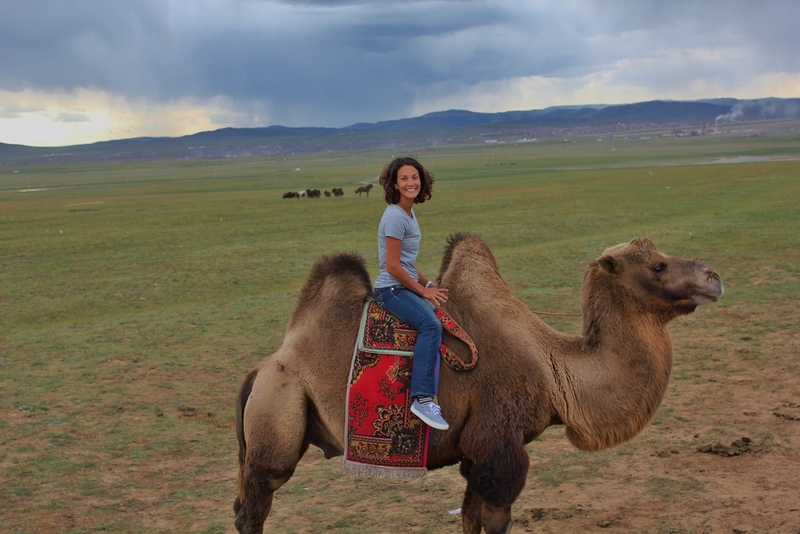 Nug had been like a broken record for the past month, “When we go to Mongolia, I want to stay in a ger and ride a camel!” She would repeat this seemingly every day. I personally didn’t see the big deal but she had put up with tons of my requests so I agreed. 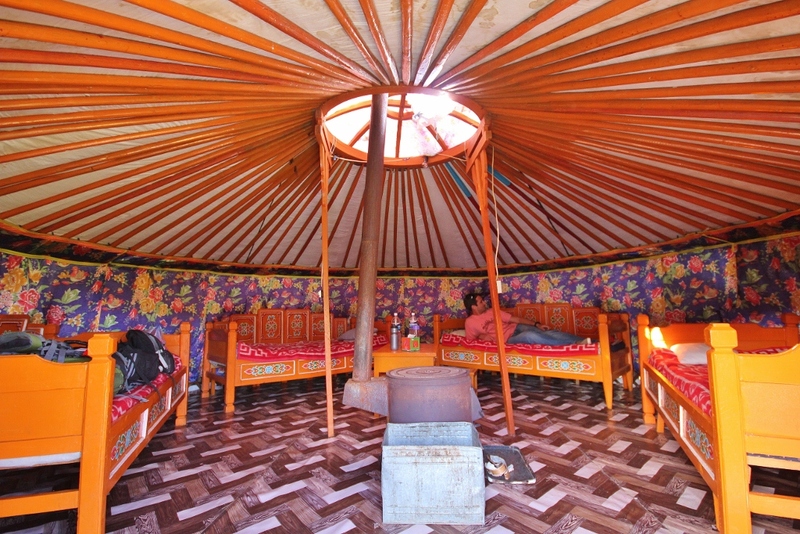 After our drive to Terelj National Park we stayed in a local family’s ger for the night. We had a magnificently paired dinner of spaghetti bolognaise with hot sauce and soy sauce. 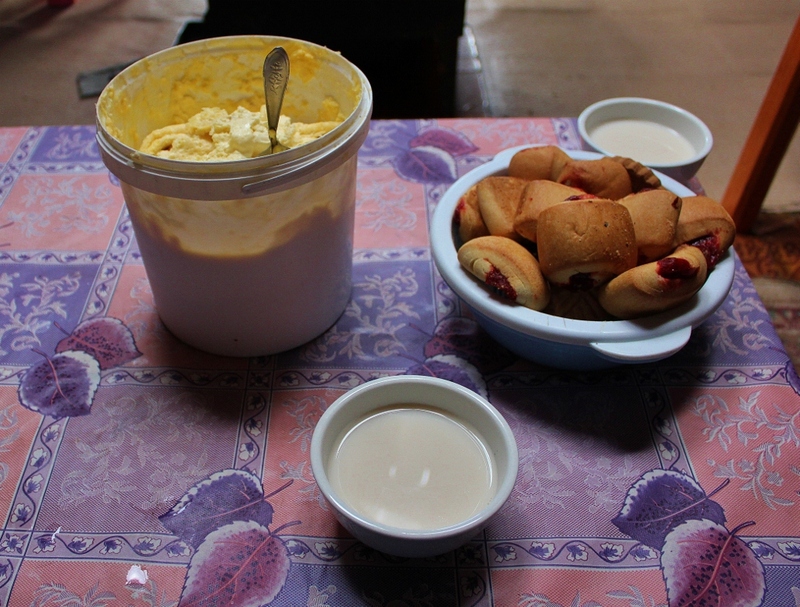 On the side we were given pickles and yogurt which was washed down with beautiful instant coffee…what a treat! Settling in for a nice game of rummy….we thought. After dinner we retired to our ger to play rummy and escape the cold. The 1st hour or so was fine until a spider the size of my palm rappelled onto our bed in the creepiest manner possible and sprinted for a dark corner. I shrieked in terror while smashing him into oblivion. At that moment we got the strange feeling of being watched. A scan of the ger revealed my biggest fear materialized and I got chills. 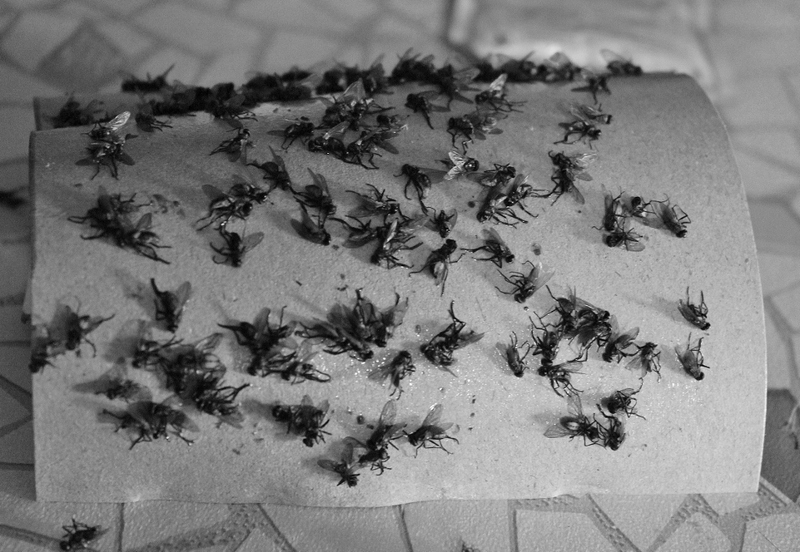 It was infested by (this is a conservative estimate) hundreds of these creepy crawlies. Apparently the arachnids were nocturnal because where there had been none before there were now countless 8 legged beasties. 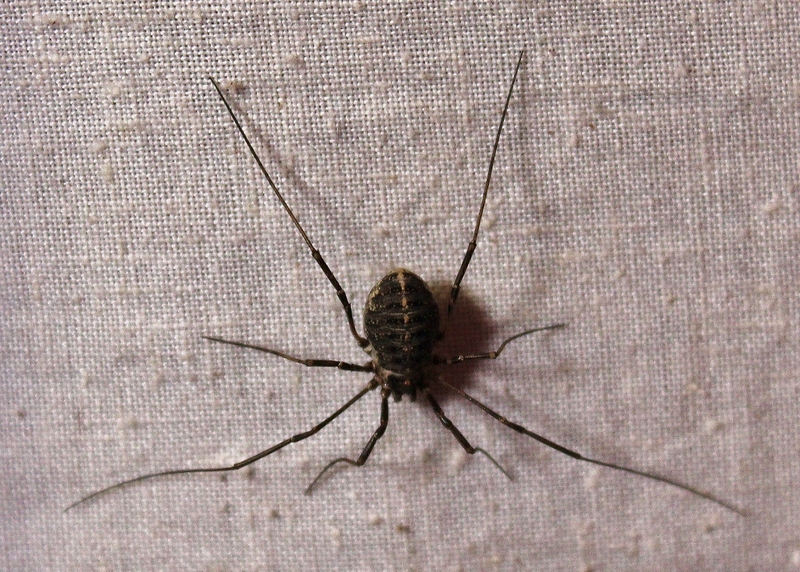 There were several spider varieties of different colors, size and hairiness. 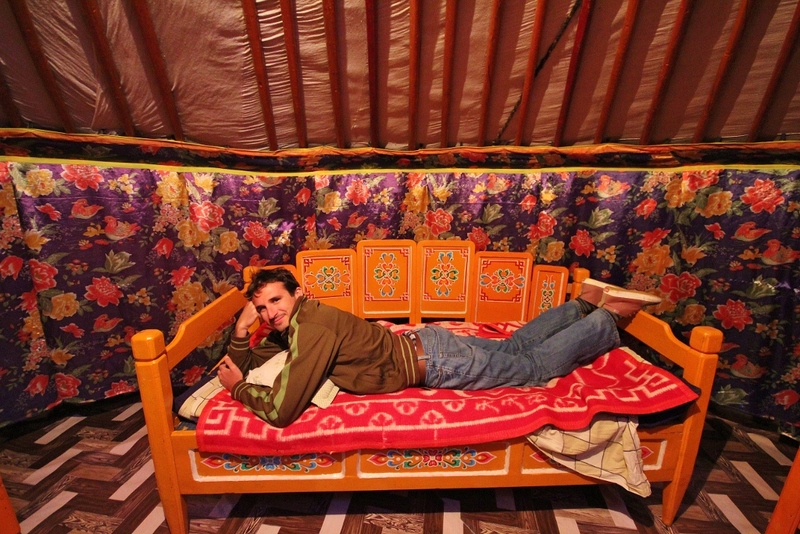 They were scuttling on the floor, in corners, on the other beds and on the ceiling. The closest town was miles away and the outside temperature was in the 30’s. For all intents and purposes we were captive. I was absolutely terrified. The only saving grace for me was that it was Nug’s idea. If I had proposed the ger stay the wrath of heaven would have crashed down on my head. The arachnid war commenced over the next several hours. The spiders would charge and we would dismantle their forces. They would retreat, regroup and hit us again. It was like the movie “Kill Bill” with Nug and I employing our ninja skills and standing back to back as the spider corpses piled up. As the attacking spider numbers started to dwindle we squeezed onto one of the single beds and wrapped ourselves like burritos for protection. We spent the next several hours (sleeping is not an appropriate term) taking periodic 3 minute naps and jolting awake to check for enemy intruders. It was mostly random kamikazes at this point. As the sun rose we stepped out of the ger like survivors of a zombie apocalypse. 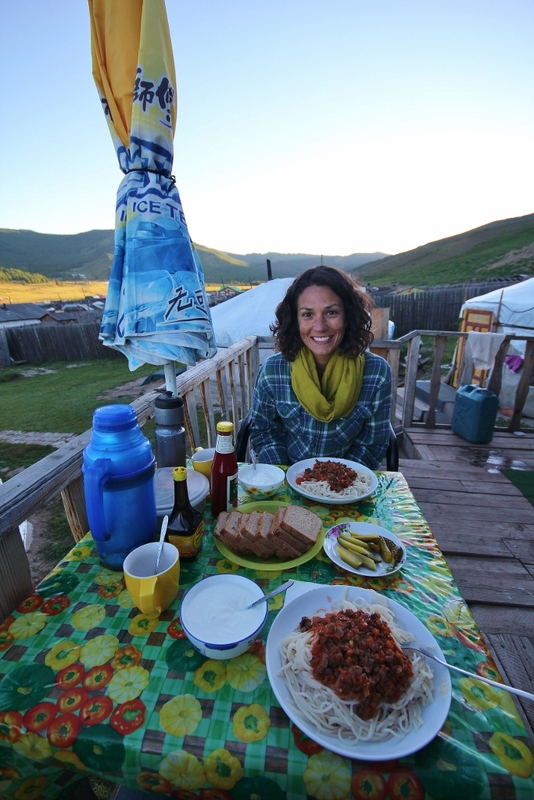 We were greeted by the Mongolian host, “How was sleep?” We lied in unison, “Okay.” After breakfast (4 cups of coffee) and a bit of national park exploration we fulfilled Nug’s 2nd Mongolian dream. 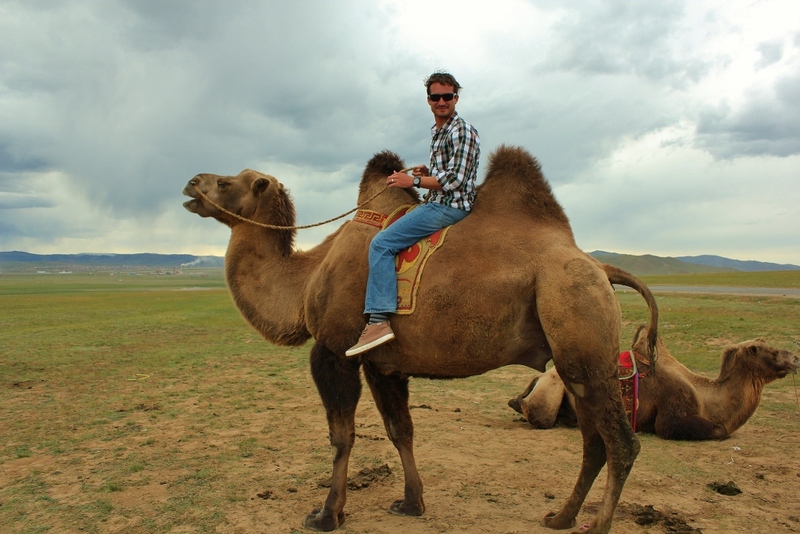 We rode camels. I must say it was a much more pleasant experience than her 1st idea. This sure beats a ger. From the train the Mongolian countryside appeared to be continuous rolling hills with nomadic herders dotting the landscape like small islands in the ocean. 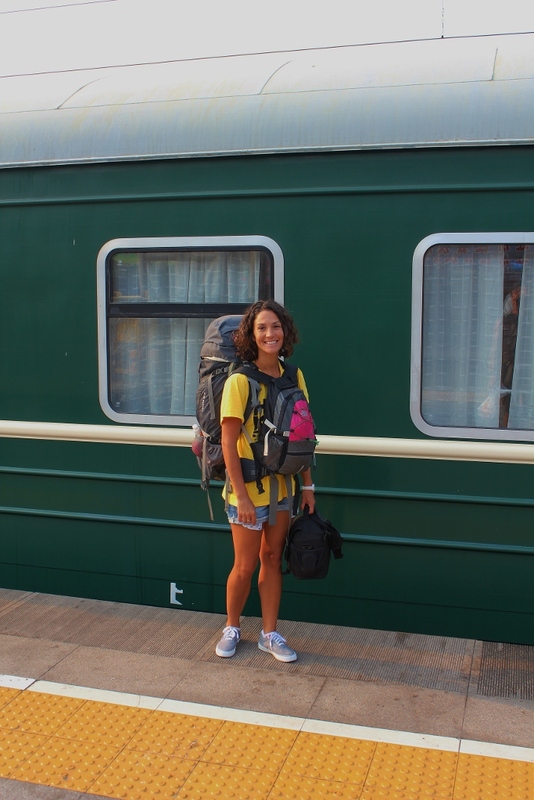 After missing our original train from Beijing and having to wait 3 days for the next we were excited to be en route. 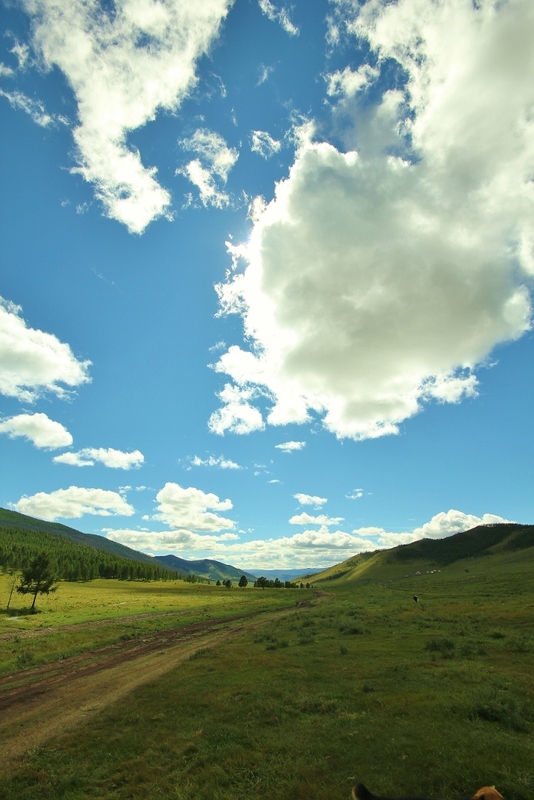 As we approached the capital of Ulaanbaatar the view changed. Dilapidated block buildings, soot, dust and sprawl scarred the picturesque view. UB has the dubious reputation as the world’s ugliest city. As we drove through the streets I could not imagine a single counter argument to refute the claim. The bumper to bumper traffic offered plenty of time to observe the surroundings. It reminded me of a movie set from a post nuclear war flick. We made the train this time. 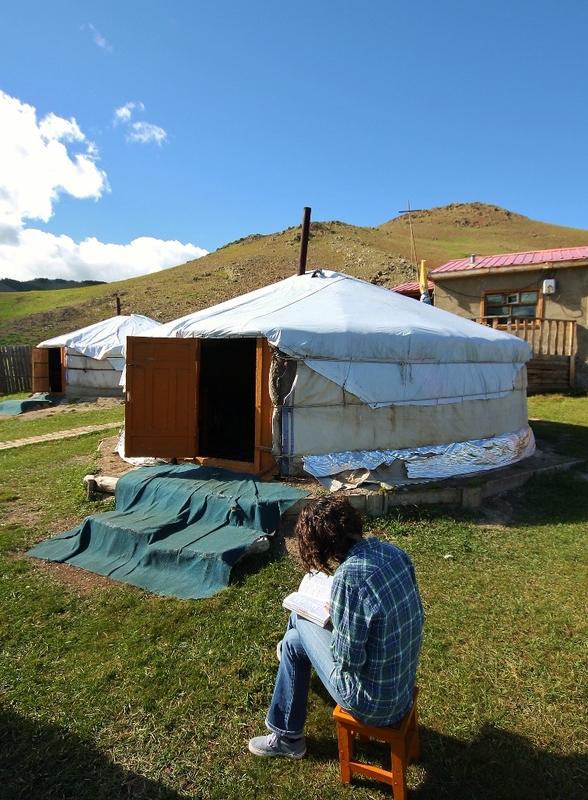 Within an hour of arriving we made arrangements to leave for Terelj National Park first thing in the morning. The drive there required a 4×4 and passed dramatic alpine and countryside landscapes. We stopped at a local family’s house for lunch. 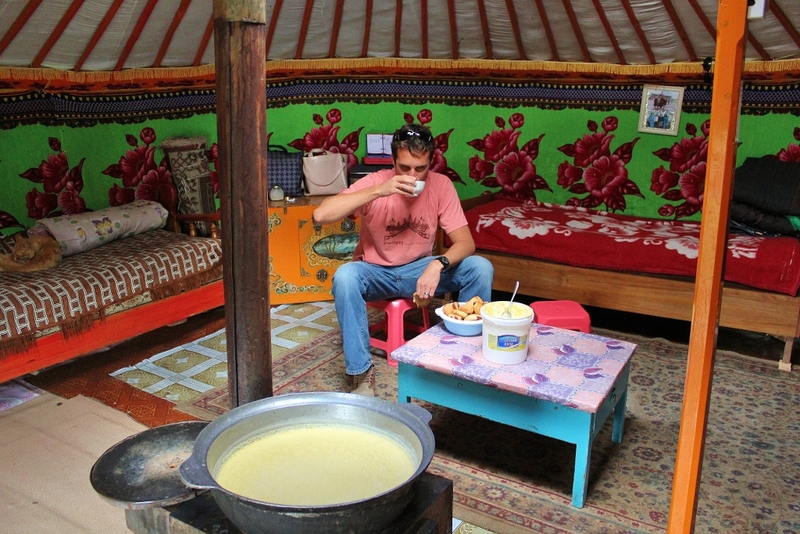 We were given “milk tea” which tasted like warm seawater mixed with milk that had been left out on the counter for several days. This was accompanied by biscuits and “cream” in a 5 gallon bucket. The cream was a curdled concoction with more farm animal hair than milk based liquid. It was not edible by our antiseptic western standards. Took 15 minutes to get to this. Cream with your animal hair? We chugged the tea as fast as possible to keep from being rude but drew the line at the creamy mess. 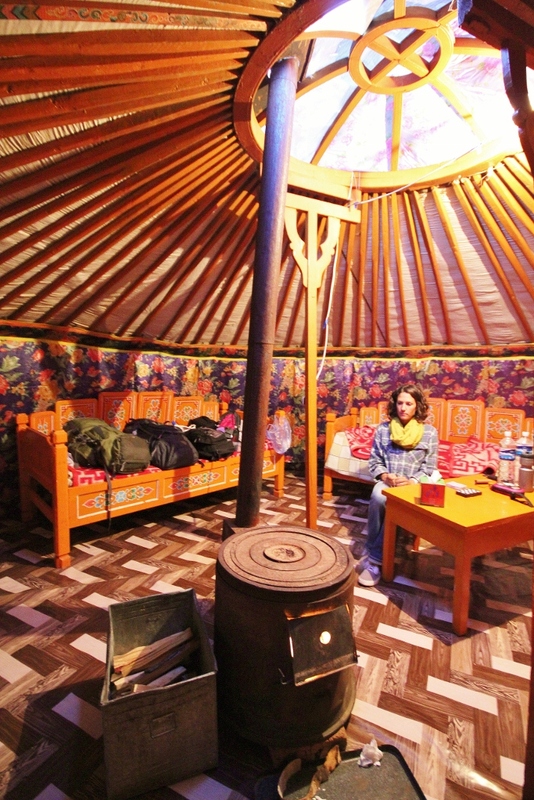 We pushed on to a local village where we were set to spend the night in a ger or yurt as the Mongolians refer to them. I climbed the mountain behind the village to watch the sunset. It was a wonderful escape from the wasteland of a city we had left earlier in the day and I was blissfully unaware of the horrors that awaited me later that night.